All she wants is a fresh start for Melissa, her 9 year old daughter, and herself. 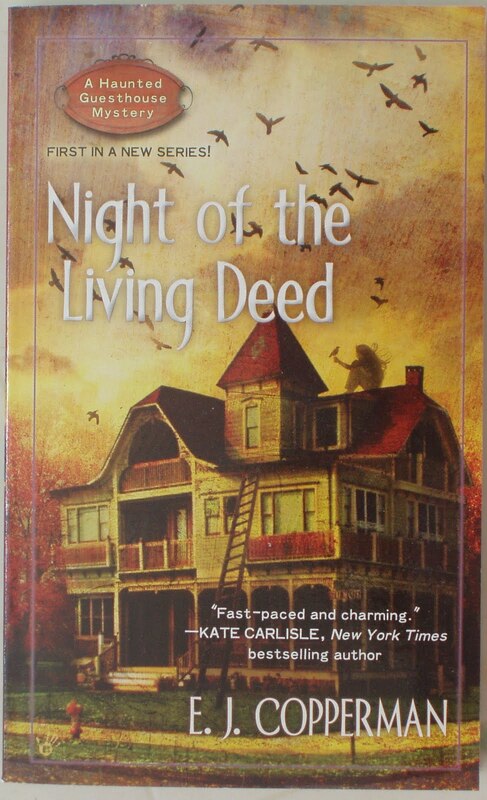 What Alison Kerby gets is a house on the Jersey Shore that seems bent on destroying itself, or rather, the ghost of the previous owner and that of the PI that was supposed to be protecting her that are destroying the house. Now along with renovating her one hundred year old house, Alison also has the task of convincing the police to re-open their supposed "suicide" case. Rest assured, this mystery has nothing to do with that current reality show that is set in the 'new Jersey Shore' on a boardwalk with a T-shirt shop. This story is set in the old area where longer term residents know everybody and their business and where the newspaper editor knows even more. I would have read this book straight through with the exception that I couldn't keep my eyes open no longer. Fortunately my camper is so tiny that there is no space for ghosts who might have tried to keep me awake otherwise. Seeing that this novel is intended to be the first in a series, it is appropriately filled with a varied assortment of characters. Along with Alison and her daughter, there is her best friend Jeannie and Jeannie's contractor husband Tony. Meet Kerin Murphy, that perfectly coiffed mother who's on top of everything as well as working full-time and president of the PTSO, Parent-Teacher-Student Organization, arg, I just want to muss her perfect hair. Police detective Anita McElone; I can't figure if she's one of the good guys. And finally there's Phyllis Coates, editor of the local newspaper, she knows everyones' business even before they do, I love this woman and see a big future for her in this series. The story was spun out with such care and deception that I was thrown off the correct trails numerous times. I'm usually fairly good at figuring them out. I will be looking forward to Alison and Paul's (you have to read the book to meet him) next adventure. 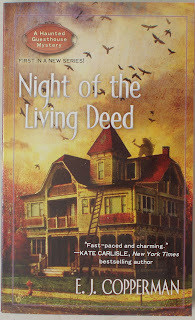 E. J. Copperman is a pen name for unknown, famous author who is trying a new genre of mystery writing. Thanks to Rob from Books Are Like Candy Corn for the copy of this book which I won from his site. I have heard good things about this series. I'll have to check it out.